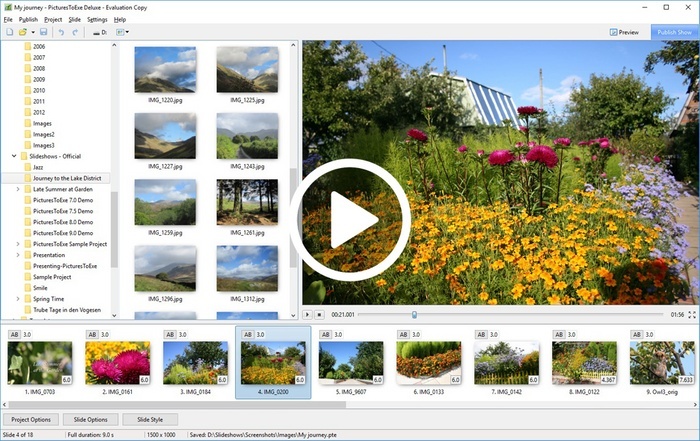 PerfectPhotoShow allows you to create stunning photo and video slideshows with slide styles and effects. * This price in US Dollars and includes all taxes. * Note that this is a single payment (not a recurring subscription). You will receive an email with a download link and license key immediately after your purchase. One year of free updates provided (performance improvements and bug fixes). Pay securely online via PayPro Global using any major credit or debit card (including VISA, MasterCard, Amex, Switch/Maestro and Solo), wire transfer or PayPal.